Corey Tropp scored a pair of goals and Mark Mancari scored the only mark in the shootout as Rochester opened the 2012-13 season Friday with a 6-5 win over Syracuse. Tropp lit the lamp in the game's opening minute when he tapped in a two-on-one feed from Cody Hodgson. 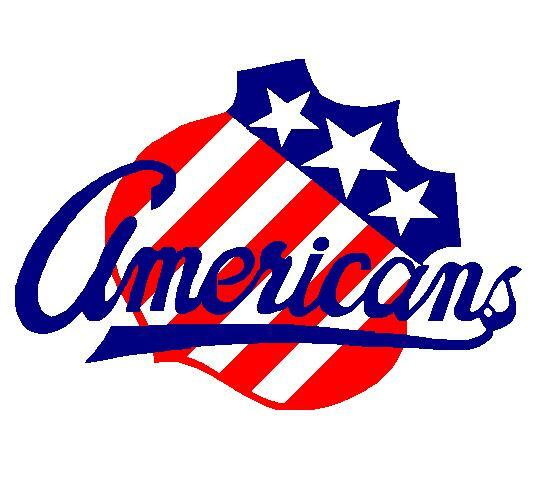 Later in the period, Tropp batted down a Luke Adam shot in front of the net and beat Dustin Tokarski to give the Amerks a 2-1 lead. Marcus Foligno scored shortly after Tropp's second goal to give the Amerks a 3-1 advantage at the first intermission. Mark Pysyk notched his first professional goal in the second period before the Crunch went on to score four unanswered the take a 5-4 lead midway through the final frame. Mark Mancari rounded out the Rochester scoring to make it 5-5 with under four minutes to play in regulation to force the OT. David Leggio made 29 saves and another five in the shootout to earn the win. Tropp suffered a lower body injury and is unlikely to play when the Amerks continue their opening weekend Saturday in Toronto. In the QMJHL, Mikhail Grigorenko continued his superb start to the 2012-13 season by scoring two goals and an assist to extend his point streak to nine games as Quebec defeated Gatineau 4-1. The talented Russian currently ranks second in QMJHL scoring with eight goals and 20 points through the Remparts' first nine games. The Remparts are off until Wednesday's tilt with Saint John. In Finland, Joel Armia scored his sixth goal of the year as Assat doubled Tappara 4-2. The 6-foot-3 sniper got the Aces on the board when he cut to the net and directed a Michael Ryan pass past the Tappara netminder. The two clubs will play it back on Saturday. Linus Ullmark made 30 saves as MODO J20 downed Leksands 6-2. Ullmark was making his return to SuperElit action after a three-week loan to Mora IK of HockeyAllsvenskan. MODO and Leksands will play a rematch on Saturday. In the WHL, Colin Jacobs picked up an assist as Prince George downed Lethbridge 3-2. The helper extends Jacobs' season-starting point streak to a career-best eight games (7+7). The Cougars continue their road trip Saturday in Medicine Hat. Logan Nelson saw his five-game point streak come to an end as Victoria lost to Kelowna 4-1. The Royals and Rockets will again face off Saturday in Victoria. Andrey Makarov made 24 saves as Saskatoon lost to Kootenay 4-3. The Blades have lost five straight games to occupy last place in the East Division. In OHL action, Brady Austin was +1 as Belleville pitched a 2-0 shutout of Brampton. The Bulls, who have secured five wins through the season's first eight games, return to the ice Saturday versus Oshawa. Justin Kea logged a +1 as Saginaw smoked Sudbury 6-1. The Spirit moves on to face Brampton on Sunday. Alex Lepkowski (-1) did not point as Barrie got past Oshawa 4-3 in a shootout. Barrie will host Sudbury on Saturday. Christian Isackson scored his first goal of the year as Minnesota downed Michigan State 5-1. Skating with Florida prospects Nick Bjugstad and Kyle Rau, Isackson buried a wrist shot from the slot for the first regular season goal of his collegiate career. The Gophers and Spartans will conclude their opening weekend set on Saturday. Brad Navin (2 SOG) and Jake McCabe (4 SOG) each went without a point as Wisconsin lost to Northern Michigan 2-1. McCabe was paired with Frankie Simonelli on the Badgers blueline after sitting out last weekend's tune-up win over the U.S. Under-18. Navin formed a line with Keegan Meuer and Brendan Woods. The Badgers will look for the weekend split on Saturday. Mark Adams finished +1 as Providence opened the season with an 8-2 throttling of Sacred Heart. The Friars finish their weekend Saturday with a visit to Boston University. Judd Peterson was +1 with three shots on goal as Cedar Rapids dropped a 3-2 overtime decision to Muskegon. The RoughRiders take on Green Bay on Saturday. Dam, Tropp done for the year! Kris, Thanks for the update. So which is the higher league for Ullmark. MODO J20 or Mora IK? Mora IK plays in HockeyAllsvenskan, which is Sweden's second tier professional league. MODO J20 plays in SuperElit, Sweden's top junior circuit. As mentioned Tropp is done for the year.